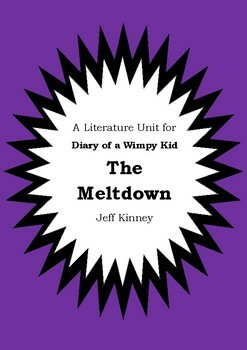 This resource is a 34 page literature unit for Jeff Kinney's novel Diary of a Wimpy Kid : The Meltdown. It is a digital copy in PDF format. 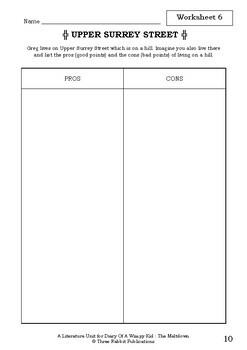 This unit has 30 worksheet activities to reinforce key concepts. In total this resource is 34 pages long. 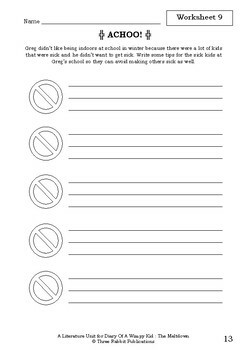 We have included a short preview of 4 pages of worksheets. This will hopefully provide a better example of the quality of our work. Please be aware that the watermark with our name on it is only on the preview it is not on the document itself. With our literature units the worksheets have been created for you, all you have to do is photocopy them.These literature units consist of blackline masters (photocopiable worksheets), that you can easily photocopy and use with your students. 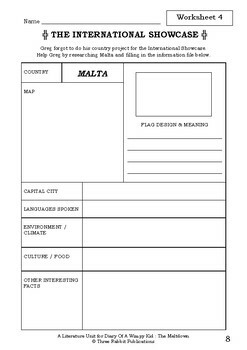 The worksheets have been carefully created to be suitable for a range of student abilities and skills and cover a wide range of higher order thinking skills. They can be adapted to either group tasks or individual work and teachers can easily pick and choose which activities they would like to use. Three Rabbit Publications have other literature units available so please have a look if you are interested.